Rhinebeck- Robert John Marvin, 90, passed away Tuesday, October 23, 2018 in Rhinebeck, NY. Robert was born December 22, 1927 in Brooklyn, NY to Marion (Honeck) and William R. Marvin. He was a graduate of St. John’s University and St. John’s Law School in Queens, NY. On October 2, 1954 he married Joan Fitzpatrick at St. Gregory’s Church, Brooklyn, NY. Joan predeceased him in 2016. 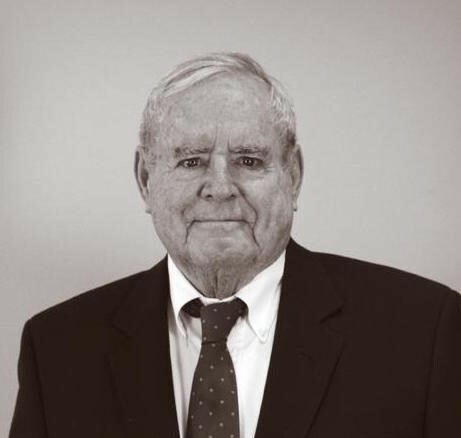 Robert began practicing law in New York City in 1953. He relocated to Rhinebeck in 1956, where he quickly became a fixture in the community; he knew everyone and everyone knew him. Every walk through town became an impromptu meeting with friends and colleagues. He eventually formed a practice with his sons, Robert, Jr. and John, working until his retirement in 2002. During his career, he focused primarily on litigation, trying many cases to verdict. He earned the respect of his colleagues and the judiciary. He is a past president of the Dutchess County Bar Association in which he remained active throughout his career. He generously volunteered his time in the community. He was a longtime member of the Boards of Directors of the Northern Dutchess Hospital and the First National Bank of Rhinebeck. He also spent many hours coaching youth sports and was a constant presence at his children’s athletic events through high school and college. During his retirement, he enjoyed spending winters on Hutchinson Island in Florida with his wife. He received frequent visits from his children and grandchildren, who he loved to entertain with his endless repertoire of stories and jokes. An avid sports fan, he will be remembered for his love/hate relationship with the NY Giants. He will be missed by all, but never forgotten. Robert is survived by his children, Joanne (Mark) Ceglarski of Bristol, CT; Robert J. (Gayle) Marvin, Jr. of Pawling, NY; Paul J. (Melissa) Marvin of New York; James W. (Montie) Marvin of Houston, TX; John R. (Ani) Marvin of Malden-on-Hudson, NY; Maureen (David) Carroll of Newburyport, MA; William R. (Yuko) Marvin of Rome, Italy; Barbara (Roger) Nozaki of Barrington, RI; Ann Marie (Robert) Swann of Williamstown, MA; and Eileen (John) Hosbein of Petaluma, CA; son-in-law John P. Pollis of Rhinebeck; 34 Grandchildren, 8 Great Grandchildren, and his sister, Marilyn Fitzpatrick. He was predeceased by his daughter Mary Elizabeth Pollis; brother William R. Marvin, Jr., sister-in law Marilyn (Kelly) Marvin, and brothers-in-law Richard B. and J. Robert Fitzpatrick. The family extends their appreciation for the compassionate care provided by many, especially: Lisa Brown, Brittnee Klee, Kioni Mitchell, and Karen Gregory. Calling hours are Saturday 10:30 am - 12:30 pm at the Dapson-Chestney Funeral Home, 51 W. Market St., Rhinebeck. A Mass of Christian Burial will follow at 1:00 pm at the Good Shepherd Church, 3 Mulberry Street, Rhinebeck, NY. Interment at the Rhinebeck Cemetery will be private. In lieu of flowers, please consider donations to Good Shepherd Church, Rhinebeck, NY, or the Northern Dutchess Hospital Foundation.